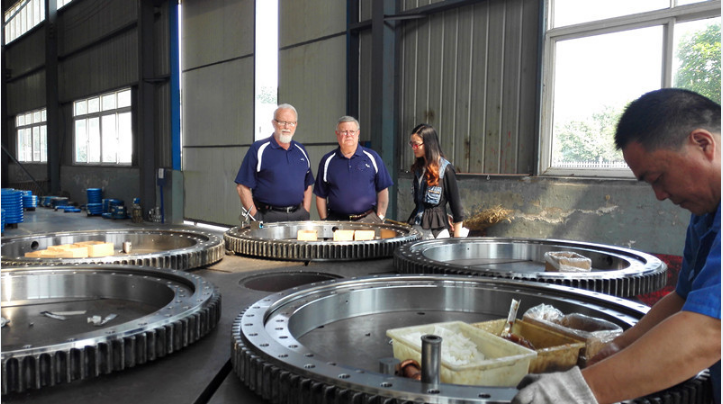 OnMay 16th, 2015, customers from USA came and visited us. We introduced the basic informations for the company each other. Customers have dealed with slewing bearings for many years, and have a rich experience in this field. Our engineer showed the customers to our blank warehouse,forged ring workshop, slewing bearing workshop, laboratory & reference room, customers asked some questions on products, equipments & technology, we answered one by one. Throughthe company’s overall visit, customers were interested in our products,and would be very happyto cooperate with our company in near future.